So unless you've been living under a rock for the past week or so, you've probably heard about the untimely passing of Steve Jobs. The man who pretty much made it possible for me to be writing this blog and for you to be reading it finally succumbed to a long battle with a rare form pancreatic cancer. Love him or hate him, Steve Jobs was an American original, and whether or not you care to admit it, the man was an icon and his record speaks for itself. So what did I love most about the man who really made the computer personal? It wasn't the fact that he was a brilliant innovator who made products that promoted an uncanny, blind loyalty. It wasn't being in the Los Angeles Computer Repair industry, which I owe a big chunk of my clientele to Apple, either. In fact it wasn't what Steve Jobs did or created. It was how he did it. Steve Jobs was unyielding, unapologetic, and unforgiving in the way he pursued his vision. He didn't care whose feelings he hurt in the pursuit of his vision. If the products didn't live up to his standards, he send the developers back to the drawing board. I'm sure people got their feelings hurt all the time, but you know what, you don't become the most powerful company in the world without stepping on a few toes. This New York Times article says it all: "The first time Steve Jobs ever bullied anyone was in the third grade. He and some pals “basically destroyed” the teacher, he once said. For the next half-century, Mr. Jobs never let up. He chewed out subordinates and partners who failed to deliver, trashed competitors who did not measure up and told know-it-all pundits to take a hike. He had a vision of greatness that he wielded to reshape the computer, telephone and entertainment industries, and he would brook no compromise." Pretty cool, right? And in the process he gave us some cool products to boot that despite their high price tags, sell through the roof. iPhones and iPads don't stay on the shelves. Macbook Pros regularly outsell their PC counterparts despite being triple the price. On Steve's watch, Apple could seemingly do no wrong whereas in his absence they misfired quite a bit. I don't know if he had a crystal ball or what, but he had his finger on the pulse of the consumer. In that worst economy since the great depression. he inspires customers to open their pocket books. Apple doesn't sell technology - they sell a lifestyle, and chances are, you're buying. Some of my fondest memories of Steve are not actually of Steve. 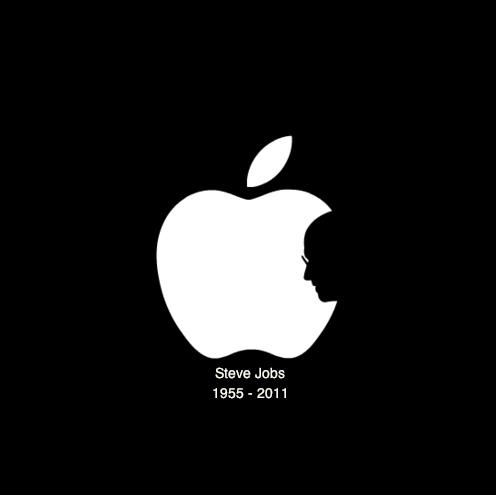 They're of his alter-ego, the Fake Steve Jobs and his hilarious blog. He tells it just the way the real Steve probably did. You've probably heard about Steve's infamous email exchanges with various nudniks asking random questions of him. The most famous may be of the college girl hounding him for access to Apple's PR department to which he, in classic Jobs style, replied "Please leave us alone." In this age of political correctness and ultra-litigiousness, Steve basically didn't give a damn. He did it his way and didn't give a crap about what anyone else thought. Thanks for the memories, Steve. Ron Swanson would be proud.